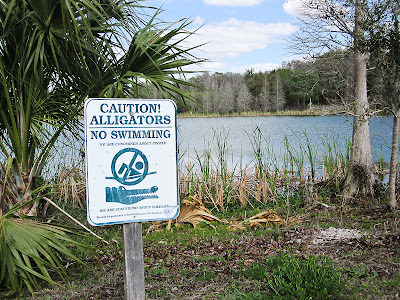 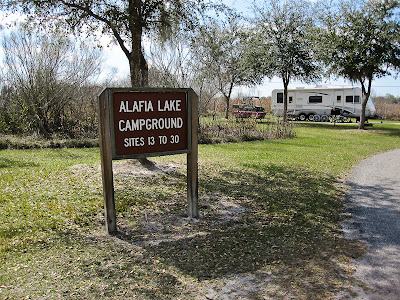 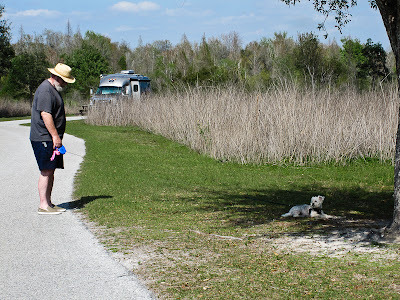 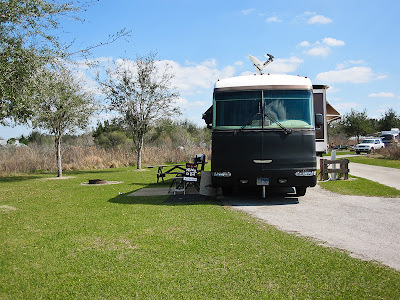 On Sunday we headed west to Alafia River State Park southeast of Tampa. We were once again reminded why we like state parks. 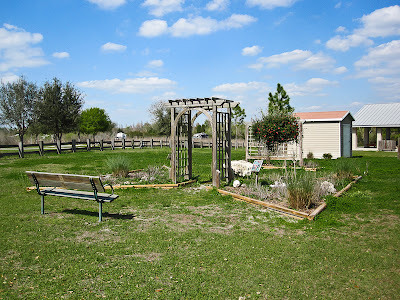 We have a quiet pull thru site with water and electric for only 22.00 a day. Built on the remains of an old Phosphate Mine, this park offers abundant biking and hiking trails but most of all it is quiet. Far from the interstate, and hustle and bustle of Orlando. 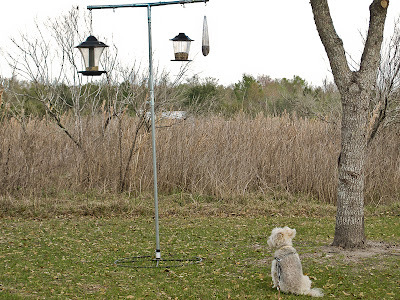 Today we celebrated President's day by just hanging out. 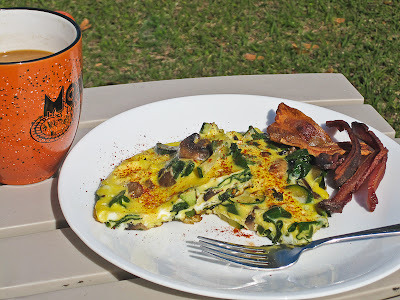 Breakfast outside. 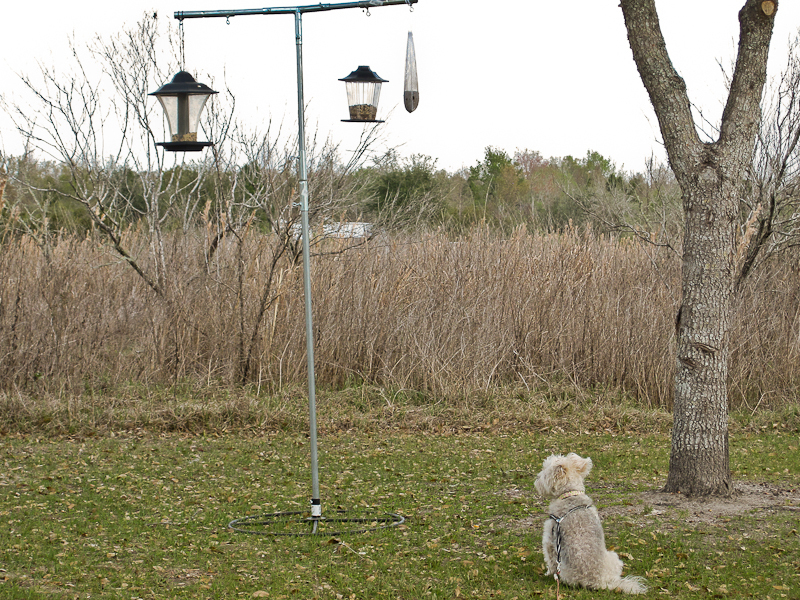 Mollie guarding the bird feeders.